Yesterday was a chemo day, plus I found out I have something in my left hip called iliopsoas tendonitis as well as shallow hip sockets, for whatever that's worth. Basically, between the two, I'm on track to feel like an 80-year-old woman this week. On the plus side, both chemo and my faulty hip will force me to take it easy for a few days, so there's a chance I could get my holiday cards out the door this week. See? There's always a silver lining. 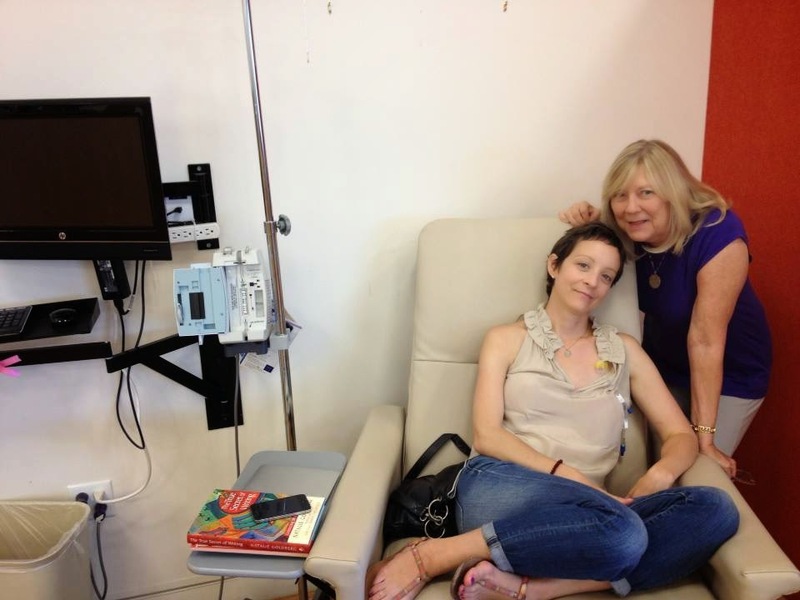 At chemo with my friend Sandi last summer (because I didn't have a more recent chemo pic). Here's some of what caught my attention on the internet this week. There was a lot of information released because of the annual Breast Cancer Symposium in San Antonio, so I apologize for the length of this edition. I hope you find it useful. "...older women with early stage breast cancer may be enduring the pain, fatigue and cost of radiation treatment although it doesn't increase life expectancy." "Studies in recent years have shown that breast cancer patients who undergo lumpectomies can safely opt for three weeks of daily radiation therapy instead of the traditional five." "Young women at high familial risk for breast cancer may see an even greater risk from diagnostic scans that expose them to chest radiation, including mammograms, researchers found. Any diagnostic use of radiation before age 30 increased breast cancer risk by 90% for carriers of BRCA1 or BRCA2 mutations..."
"'We found that mutation carriers who received anthracycline treatment do not have an increased risk of cardiac dysfunction, and that reduced cardiac function was very low in all patients, suggesting low risk of cardiac problems late after chemotherapy treatment,' Barac says. 'Our results are applicable only to patients without significant cardiovascular risk factors, particularly hypertension.'" "Breastfeeding could cut the chance of breast cancer by up to one fifth, a major international study has found. Research on more than 750,000 women found it was a “powerful strategy” to reduce the risk of cancer, especially the most aggressive types of disease." "A University of Colorado Cancer Center study being presented at the San Antonio Breast Cancer Symposium shows that triple negative breast cancer cells process tryptophan [yes, the stuff in turkey] to promote survival while traveling through the body in order to seed new tumor sites." 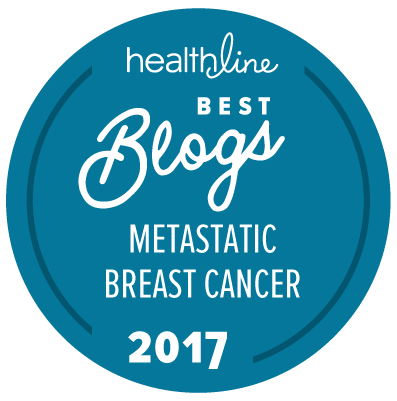 "'The median survival for patients with triple-negative breast cancer is approximately one year,' Nanda said. 'We need better treatments for this disease. The promising activity of pembrolizumab seen in PD-L1-expressing, triple-negative breast cancer is exciting, and certainly worthy of further investigation.'" "Taking the cancer drug tamoxifen for five years drives down the incidence of breast cancer in women at high risk for the disease by close to 30%, researchers have found. And the medication's protective effects against breast cancer appear to last, unabated, for as long as 16 years after a woman stops taking it, a new study says." But Those Study Results "Come with a Few Major Caveats"
"With such long follow-up, there has not yet been a meaningful difference observed, either way, in breast cancer-related or overall mortality. Worrisome, too, is a slightly increased number of estrogen-receptor negative tumors observed in the tamoxifen arm of the study." "Adding everolimus (Afinitor, Novartis) to trastuzumab (Herceptin, Genentech) and paclitaxel did not significantly improve progression-free survival as a first-line treatment for women with human epidermal growth factor receptor-2 positive (HER2+) advanced breast cancer, according to the results of the BOLERO-1 trial. Novartis announced the results at the 2014 San Antonio Breast Cancer Symposium." Thank you for this article. Really helps, after trying to follow many different people on line who attended sabcs, this really summed things up. Hope you feel better!! You're welcome -- glad it was helpful! And yes, we're starting to feel better...finally! I haven't checked your blog in a while. Been taking an internet break. You have been busy! New dog, family pics. I am so happy for you, getting a new "family" member. Your cat will adjust soon! Thank you for taking the time to post these informative articles. They are very helpful. I am sorry about your hips. Is there anything they can do to help your pain, such as physical therapy? I like how you are finding your silver lining, by getting your cards out! Wishing you and your family a very Merry Christmas, and a healthy, happy New Year. Hi Cheryl, I'll have news on our new addition in a post soon. And my hips will be okay. I think I was just overdoing it on the hiking, and need more ibuprofen in my "old age"! ;) Happy holidays to you too, my dear!